I have been very open about Harry’s struggle with reading and writing over the last 12 months. The problem itself is not Harry’s ability more his attention span. He is not a child who likes to sit down and read stories, preferring something more interactive like an educational game on the Ipad or being outside on his bike. I am constantly having to come up with new ideas to get him interested in phonic’s and to work on increasing his attention span. This week alone I have had a 1-1 meeting with Harry’s teacher to request more phonics-based homework and I have attended a parents class on how to inspire your child to read more. I sometimes wonder if I am doing the right thing by writing about Harry’s struggle with reading as I don’t want to portray him as an underachiever , but this is real life and however much I would love to be one of the mum’s stood in the playground bragging that my child had just read War & Peace, I can’t. What I can be is one of the mum’s who sees a weakness, acknowledges it and finds creative ways to solve the issue. 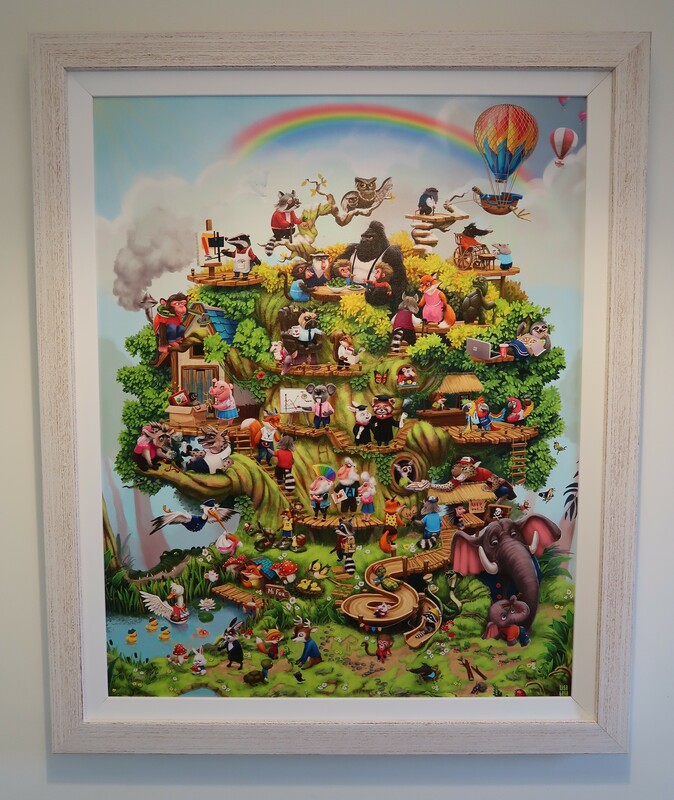 This brings me to The Life Tree , our newest adventure into the wonderful world of Phonics, Imagination, and storytelling. One of the benefits of being so honest about Harry’s struggle is that amazing companies like The Life Tree get in contact with you to see if they can help. 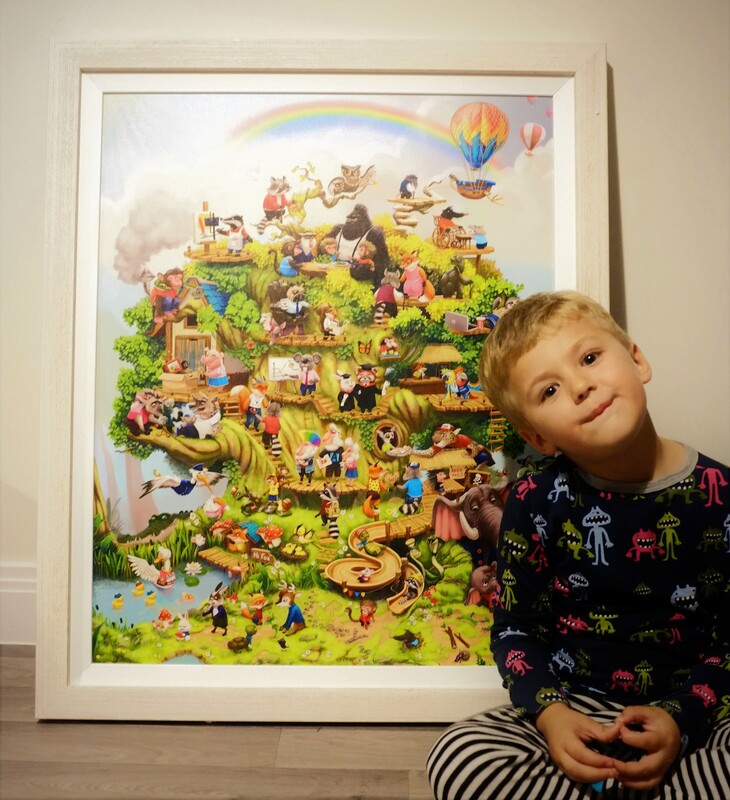 The Life Tree is a beautifully illustrated piece of story art that children can interact with. Each Life Tree is totally unique and comes with a hidden name or message for the child to find. 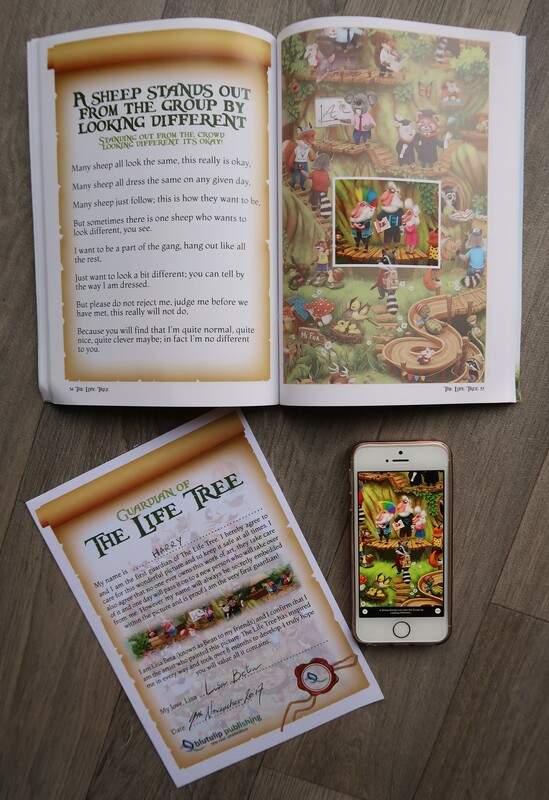 As well as the artwork each Life Tree comes with a certificate of ownership, The Life Tree storybook and access to The Life Tree app which reads along with the book. Harry was gifted his very own Life Tree last week by the creator of The Life Tree and we are going to be enjoying the interactive artwork over the next few weeks along with the book of 31 captivating Verses of Wisdom & app to see if we can capture Harry’s imagination and help him in this adventure with phonics.The Life Tree is so beautiful we have decided to hang it in our hallway for all of the family to enjoy. We have now been late for school three times since it arrived because Harry loves making his own stories up and telling them to me & Charley just before we are due to get in the car. Some things are worth being late for !! Can you find Harry’s name in the picture? I will be reporting back to you in a couple of weeks with Harry’s progress and how our The Life Tree adventure goes. If you would like to know more about purchasing The Life Tree for your little ( or big ) one then just click here .For every Life Tree sold, a donation of £5 is given to both The Joshua Tree ( supporting families who children have cancer )and The Aspinall Foundation ( a world-renowned conservation charity ) so you know that with your purchase you are also helping support lives across the world. "Brother & Sister Winning At Twinning With Me&I"
"Day In The Life – Farmer Parrs – Fleetwood – Featuring The YippeeYo – VLOG"